Planning supplies are the first things to get out of hand in my household. It's so easy to get swept up in washi, stickers, and countless planners one person could never use. So I try to keep my obsession corralled to one IKEA cart to make sure things don't spread across the entire house. I think it's super important to have a designated area for supplies so you're not only able to find things, but you don't go overboard with things you probably won't use. 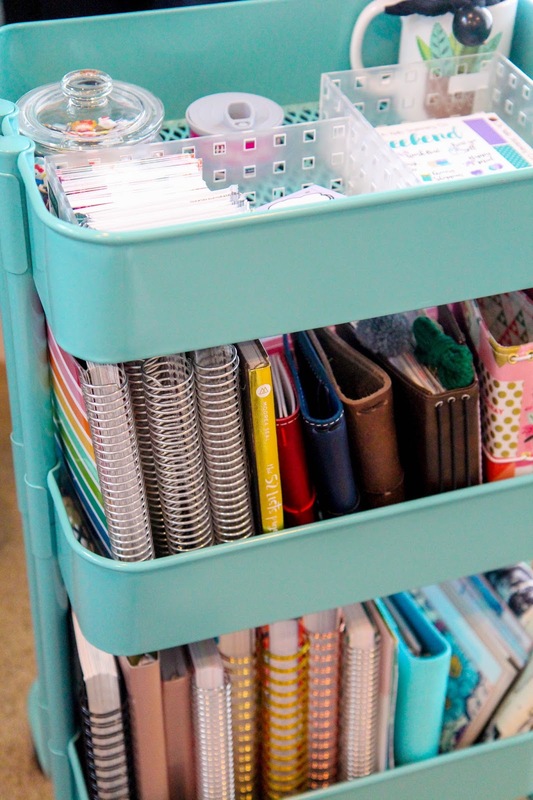 These carts come in a bunch of different colors and are sold practically everywhere now. They're great because they can be pushed around from room to room, but are also portable enough to pop into a closet. So in today's video I'm giving you a walk-through of all the bits and bobs I keep jammed onto this cart on a regular basis. My traveler's notebook supplies are kept elsewhere, so let me know if you want a tour of that stuff as well.